Group H has teams with rich EuroCup histories and rising powers. UNICS Kazan, the 2011 EuroCup champ, has been to the semifinals four times, most recently in 2015. Cedevita Zagreb reached the semis in its EuroCup debut in 2011, but has not reached the quarterfinals since. 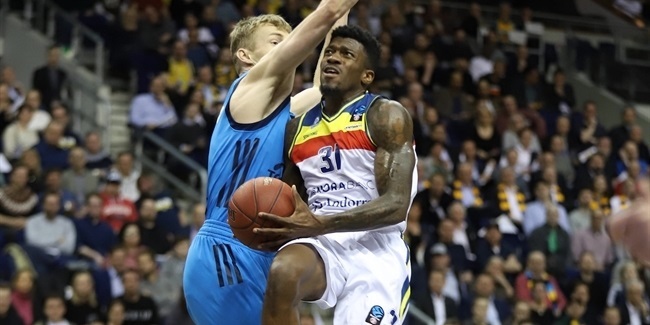 Zenit St. Petersburg has reached the quarterfinals in each of the past two seasons and is looking to get back and take the next step, while MoraBanc Andorra is in the Top 16 in just its second EuroCup campaign and hungry for more. No team holds a longer winning streak in the competition than UNICS Kazan, which is entering the Top 16 having won six consecutive games. UNICS won Group D with a 9-1 record, which is tied for the best mark in the competition and holds the second-highest point difference at +96. 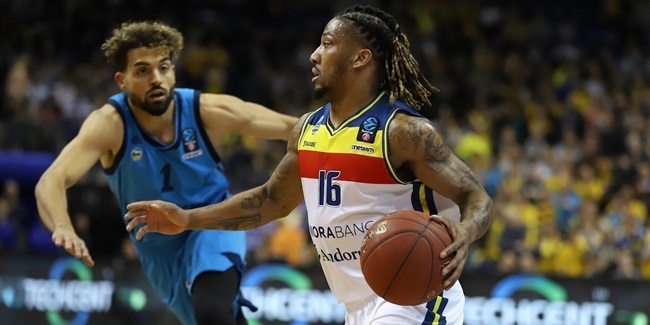 MoraBanc Andorra is not as hot as UNICS, but it did win four of its last five games and that strong finish helped it overcome a slower start and finish in second place in Group A. On the other hand, Zenit St. Petersburg and Cedevita have been trending in different direction and hold the two longest losing streaks. After securing its Top 16 ticket, Cedevita finished the regular season with back-to-back losses, while Zenit has lost three in a row and would not have qualified if Valencia Basket had not beaten Dolomiti Energia Trento on the road. Zenit hopes to change its losing trend with the coaching change made after the completion of the regular season when it replaced long-time head coach Vasily Karasev with two-time EuroCup winner Joan Plaza. The last time Plaza coached in the competition, he led Unicaja to the 2017 EuroCup title. Zenit is one of two teams in this group that has changed coaches after Cedevita did so in October when it replaced Sito Alonso with Slaven Rimac. It proved to be a good move for the Croatian champion, which went on to win three consecutive games to ease into the Top 16. Cedevita also revamped its roster by adding four players, including Jacob Pullen, former EuroCup MVP Marko Banic and eventually Edo Muric. Cedevita has had 19 different players appear in at least one game this season and five of those are no longer with the team. Zenit did some roster boosting, too, adding new point guard Codi Miller-McIntyre, who would have ranked second with his average of 7.5 assists had he played enough games. There are four teams that have been perfect at home in the regular season and two are in Group H – UNICS and MoraBanc. No team has been more efficient offensively on its home court so far than MoraBanc, which averaged a league-best 97.2 points in home games. UNICS has the best home-court defense, allowing only 74.8 points per game. Zenit did have two home losses, but both were 3-point defeats after overtime. Only four teams have posted better than Zenit’s 90.0 points per game in home games, but Zenit's average on the road drops to 81.4 per game. Cedevita has been the most balanced team in this group, having scored 86.6 points at home, but ranking fifth with 84.0 points on the road. No difference between home and road performances have been as lopsided as MoraBanc's, which averaged 76.8 points on the road, more than 20 fewer than at home. 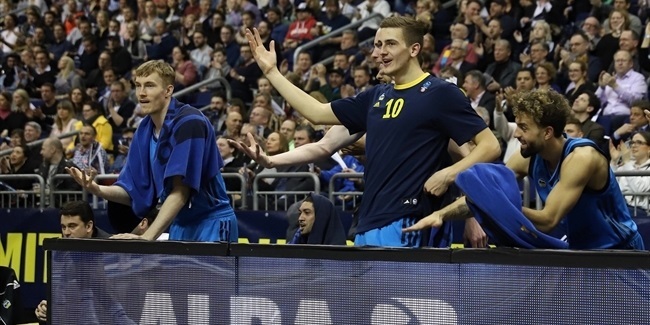 It seems Andorra's key to success will be to keep protecting its home floor, while for other teams in this group, a potential win in Andorra could launch it toward a ticket for the quarterfinals. All four teams rely a lot on the play of their guards and many of them are ranked – or would be ranked – among the best this season. Zenit's Sergey Karasev is the EuroCup's top scorer with 18.9 points per game. Karasev has made seven appearances and scored at least 14 points in each game. Karasev's biggest challenger for the scoring crown the rest of the season might end up being Pullen. The Cedevita guard has played in just five games, so he currently does not qualify for the scoring rankings, but his 18.0 points per game would have been third-best this season and Pullen has been very consistent, scoring between 16 and 21 points in each game. Similar to Pullen, Zenit's point guards have not played enough games, but Miller-McIntyre would rank second with 7.5 assists and Gal Mekel with four appearances would be third with 6.8 assists per game. And each of the other three teams in this group has one point guard in the top 10: regular season MVP Pierria Henry of UNICS was tied for fourth with 6.1 dishes per contest, MoraBanc's Andrew Albicy is seventh with 5.6 and Cedevita's Justin Cobbs ranks ninth with 5.5 assists per game. It would not be much of a surprise if guard play determines who will move into the quarterfinals from this group.